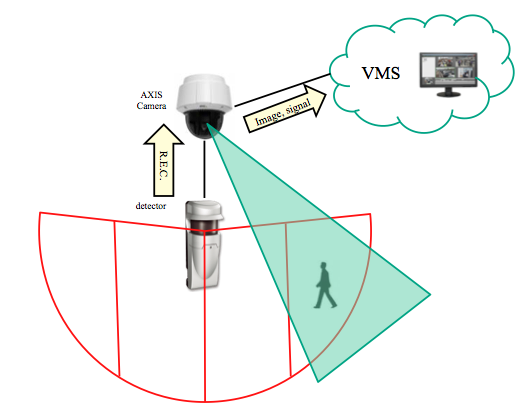 The OPTEX RPG-AXIS1 a plug-in software for Axis Compatible Application Platform enabled network cameras to track or record a person or object by integrating OPTEX IP products. ACAP plugin provides direct integration to Axis network cameras. Instead of relying on a (supported) VMS to merge sensor and camera movements, the sensor is able to directly communicate with the camera. This can simplify the integration challenge of getting three separate entities all working together, to a single integrated communication. Connect up to three Optex detectors to one Axis network camera. 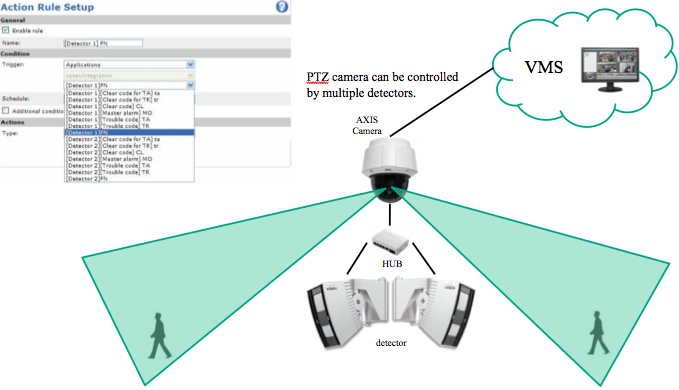 This allows you to connect multiple detection field of views to one network camera. 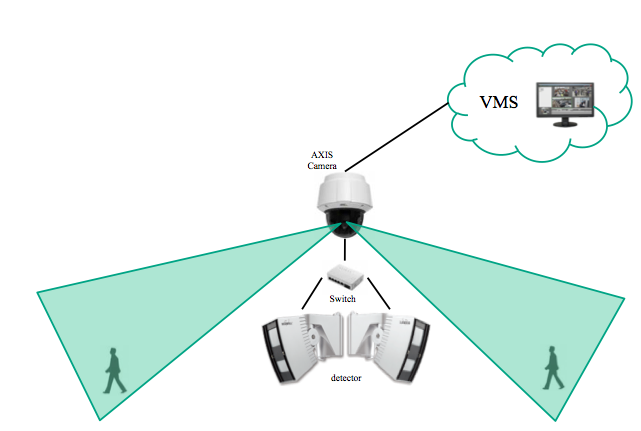 Axis network camera can manage event actions to all of the detector’s alarm zones. The OPTEX ACAP (AXIS Camera Application Platform) plug-in module allows OPTEX’s IP based detection sensors to send commands directly to an Axis network camera. The main feature makes it easy for a camera to actively move and zoom based on alarm outputs from the sensor. Other commands are supported, like triggering the camera to record, or trip output contacts that turn on lights, alarms, or send alerts. Using ACAP eliminates the need for a VMS to act as intermediary. In the past, this level of integration only worked with Exacq, Genetec, and Milestone VMS. With ACAP, the resulting integration is useful in any VMS supporting Axis network cameras - one of the most widely supported camera brands.